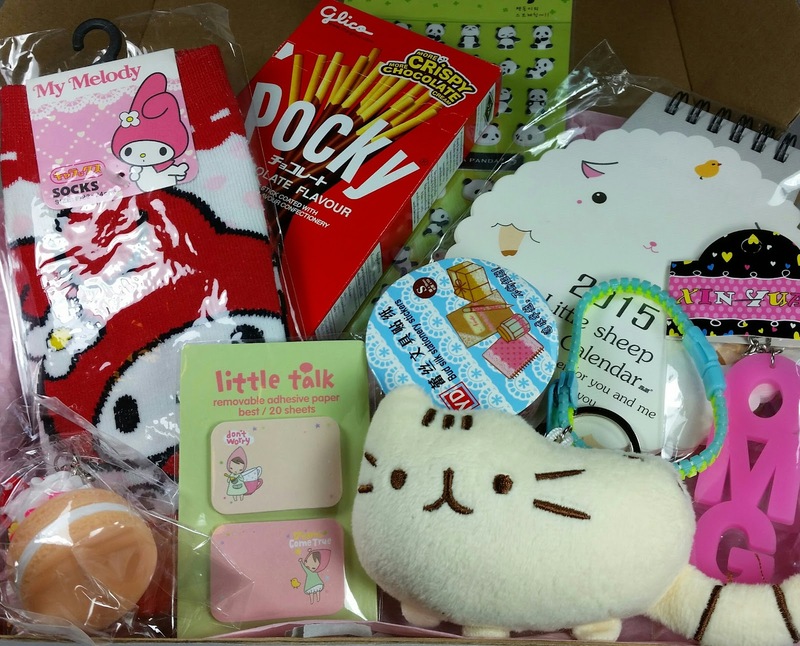 Kawaii Box is a box of the cutest, most adorable and totally lovable items. Each month is hand curated from some of most "kawaii" Japanese and Korean products and sent to your door. And when I say cute and adorable, that is exactly what Kawaii means. Think Sanrio, Rilakkuma and Hello Kitty sweetness. This box contains the essence of what it means to be kawaii. I am so in love with this box right now! The Cost: $18.90/month. Ships free internationally! What You Get: Each box includes a carefully selected mix of 10-12 cute, original and licensed kawaii items. This style is very common in Japan. It is normal to see a woman coming home from work on the train with a Mickey Mouse backpack or checking her makeup in a Hello Kitty mirror. 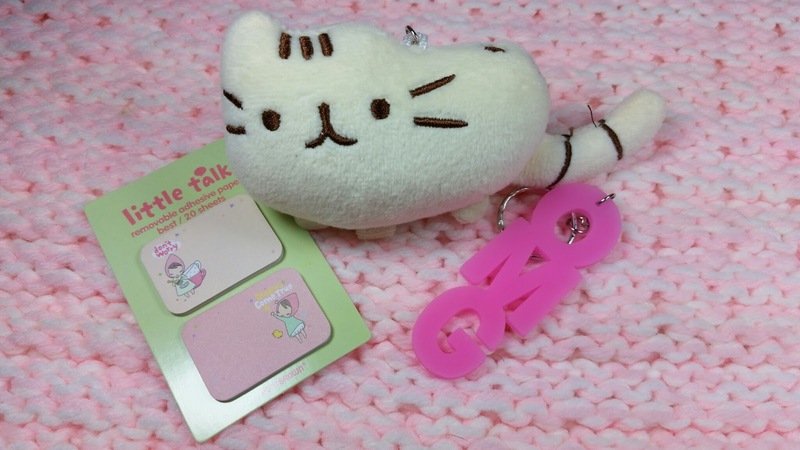 You'll find kawaii items everywhere and they are very, very hard to resist! I came home with lots after my trip there. Everything in this box is ridiculously adorable. All I could think about was how cute (I mean, Kawaii) every single thing was! This box will make Kawaii fans very, very happy. Little Talk Sticky Notes- These are small sticky notes with little tiny dollgirls printed on them. I *love* sticky notes and these are so so cute I have to use them so that other people can see them. Pusheen Plush Kitty Keychain- Maybe Pusheen? This is yellow, not grey. He's about half the size of my hand and I think is to put on your keychain or maybe your backpack zipper. Can I please go back to junior high so I can use all of these things!? I need a backpack so I can attach this! He is also missing a foot because my dog snatched him right out of the box and ran away before I realized what was going on. I now have a 3 legged kitty. OMG Pink Rubber Keychain- This is rubber and pink and reminds me of an eraser. It's a keychain, too and is going to be a stocking stuffer for sure!! This box is the jackpot for stocking stuffers. My Melody Socks- I love socks and these are so cutesy, they're hard to resist. I'm totally wearing them even though these really short socks aren't my favorite. Washi Tape- This is probably the cutest tape ever. It might not actual *be* washi tape since its a completely cutout design. You can see in the photo I taped some to the white piece of paper. It's like pink lace and I absolutely love it. I love to scrapbook and do homemade cards so this is going to be put to use. Zipper Bracelet- This is so silly. It's a bracelet that unzips. I'll be putting this in someone's stocking since it's cute but not really practical. I'm not going to lie, though, I totally zipped and unzipped it several times. It's like a stress reliever ball. Haha! 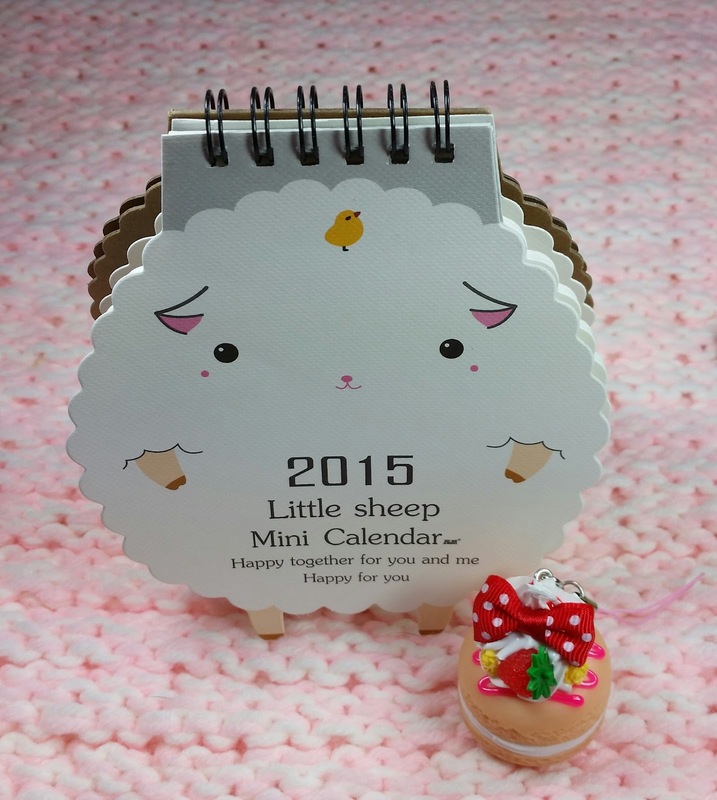 2015 Little Sheep Mini Calendar-This little sheep and her little animal friends follow you through the year 2015. They will keep you on the right date every day, as well the rest of 2014. Her expressions change every month, everything from cute to surprised. Year 2015 is the year of the sheep in the Zodiac calendar. The back side of the calendar is made out of sturdy material, so you can keep it standing on your desk! Uh. This is so cute, I wish it was 2015 already. Right now Sheepie is sitting on the top of my desk, looking, well... kawaii. This box is way too perfect. The cuteness factor is out of control. Strawberry Macaron Cell Phone Charm- This is darling but it smells funny and I don't have a phone with a charm hook. I'm airing it out and hopefully this will go in someone's stocking, too. It actually opens up and you can put something really small inside! Yoofun Puffy Panda Stickers- Ahhhh!!! Sooo CUUUTE! These are tiny raised stickers and they're all pandas!! I love pandas! I must use these. I need to stick them on everything. Oh! I am going to put them around my computer monitor screen! Theyre the perfect size! Pocky Sticks in Chocolate- So, I have a secret. I love Pocky sticks. If I got Pocky sticks in every box ever, I would be thrilled. As it is, I opened these immediately and ate half of them. I'm surprised I haven't gained ten pounds already. I wasn't expecting candies in this box but I'm glad to see them! VERDICT: Everything about Kawaii Box is adorable. I wish there were more words for cute but Kawaii definitely sums up the entire box. I wish my niece like this kind of thing because it would be the best present ever! This is probably one of the cutest, most fun boxes I've opened in quite awhile. I might have to get another one. 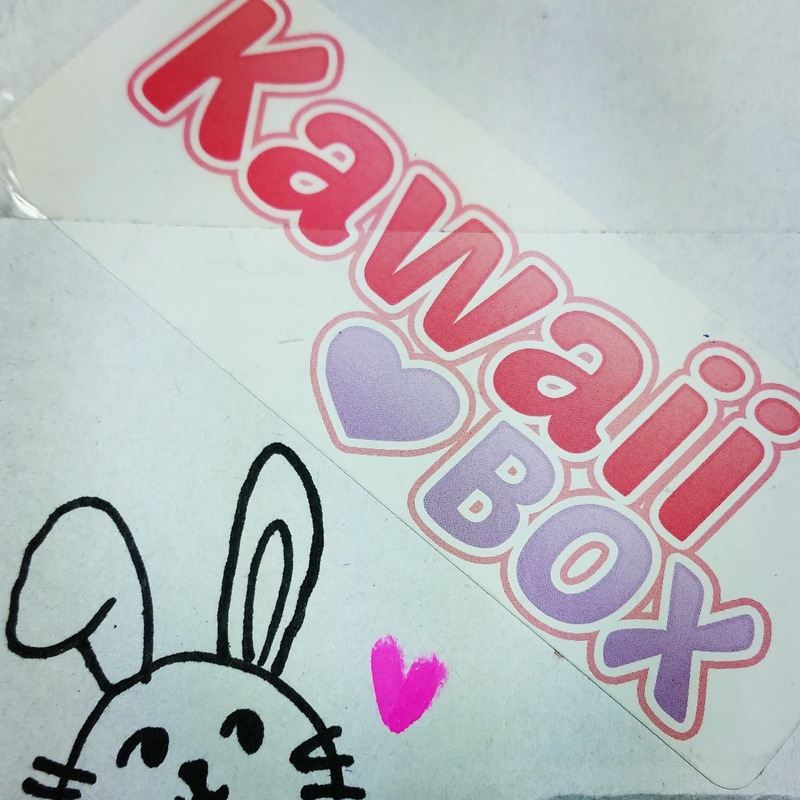 If you would like to sign up for Kawaii box and receive your own Kawaii items every month, you can do that right here. 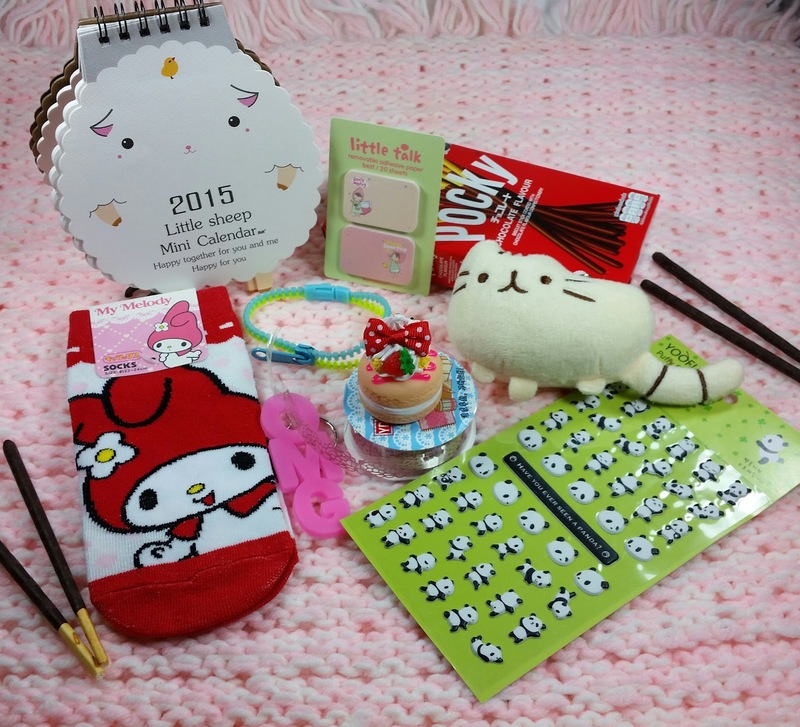 You'll receive 10-12 of the cutest products from Japan and Korea every month. You can also check out their parent website, Blippo, and see some of the cutest things ever! Use code KAWAIILOVE to get a 10% discount on your purchases there. You'll also get free shipping worldwide! 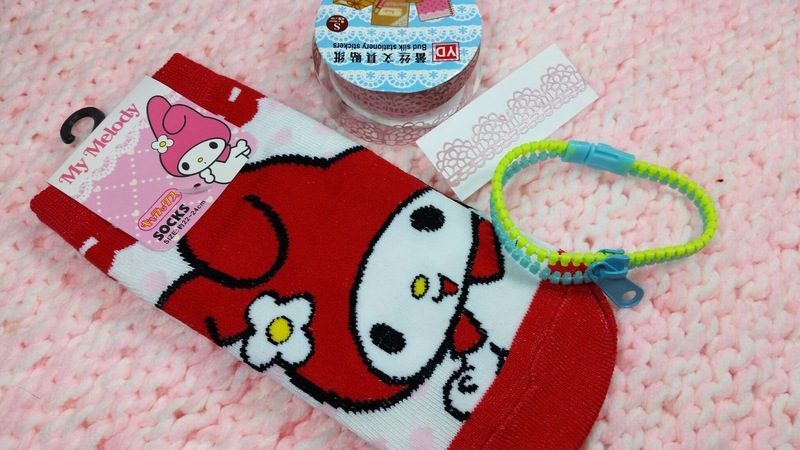 *This giveaway is sponsored by Kawaii Box and is available internationally. Prizes are the responsibility of Kawaii Box to provide. Void where illegal. *The Rafflecopter link in this review was provided and created by Kawaii Box. I have contacted them about issues with their entries. *This box was sent to me for review purposes. All opinions are mine and unadulterated. Affiliate links were used in this post. Omg! My Melody was my FAVORITE growing up! That and Ahiru no Pekkle :D I don't normally veer from boring white socks, but I may have to make an exception if I ever see these around. Excellent box! Very cute indeed. All I have to say is eeeeeEEEEEEE! You can always hang the Pusheen keychain off your purse (if you carry one). I sometimes attach ridiculous keychains to the metal loops on my purse. Haha! That's what I did when I opened the box! Im pretty sure anyone would, no matter how old they are :D And yes! Gym bag, it is!! Totally hooking Pusheen on that one. My sheep is sooo cute! He makes a different face every month of the year :D I might have to cancel boxycharm to get another one of these, too... :D I don't know how much cuter this box could get! Very cool box. Thanks for the chance. Than you for this fantastic giveaway! What a sweet giveaway, Sarah ! You're welcome! This box is pretty hard to resist, waaay too adorable to even try :) Good luck! OMG this box is so cute>< I am loving all adorable things! 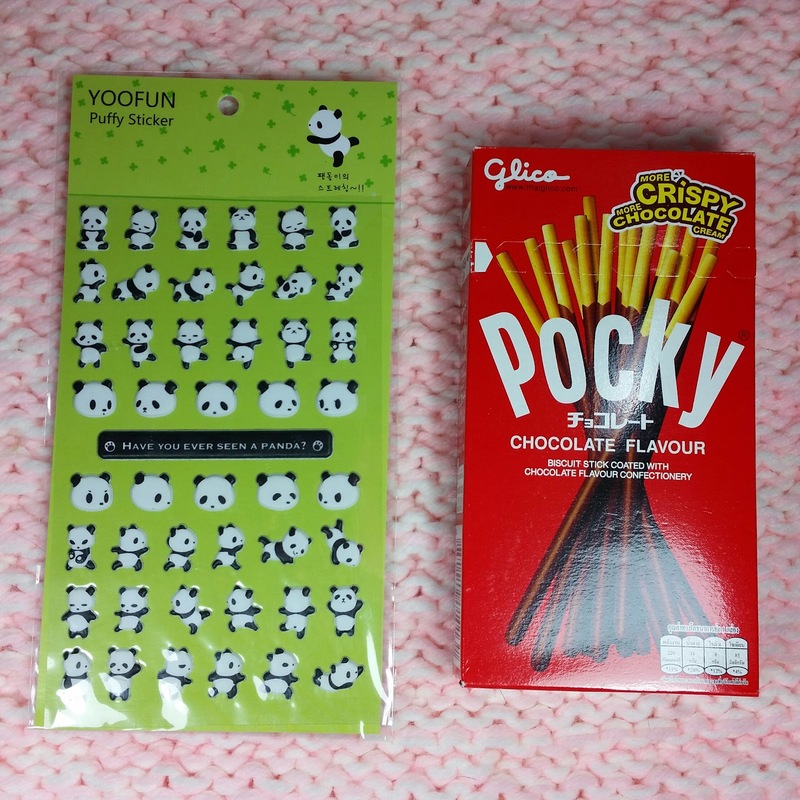 and pocky is my fav snacks!